Emphasising the increasingly regional or national approach to the legacies of colonialism, this Reader provides an entirely new way for students to engage with an important and complex area of discourse. Gregory Castle teaches English and Irish literature at Arizona State University. He is the author of Modernism and the Celtic Revival (Cambridge University Press, 2001) as well as numerous essays in Irish studies and postcolonialism. Editor’s Introduction: Resistance and Complicity in Postcolonial Studies. Part I: Post-Colonial Discourses: Complicity and Critique. "Spontaneity: Its Strength and Weakness" (Frantz Fanon). "Discrepant Experiences" (Edward W Said). "Unsatisfied: Notes on Vernacular Cosmopolitanism" (Homi K Bhabha). "The Burden of English" (Gayatri Chakravorty Spivak). "Colonialism and Desiring Machines" (Robert Young). "Post-Colonial Critical Theories" (Stephen Slemon). Part II: Indian Nations: The Conundrum of Difference. "The Prose of Counter-Insurgency" (Ranajit Guha). "The Nationalist Resolution of the Women's Question" (Partha Chatterjee). "Representing Sati: Continuities and Discontinuities" (Rajeswari Sunder Rajan). "Nationalism, Gender, and the Narrative of Identity" (R Radhakrishnan). Part III: African Identities: Resistance and Race. "An Image of Africa: Racism in Conrad's Heart of Darkness" (Chinua Achebe). "African Identities" (Kwame Anthony Appiah). "Unsystematic Fingers at the Conditions of Times': 'Afropop' and the Paradoxes of Imperialism" (Neil Lazarus). "Sheroes and Villains: Conceptualizing Colonial and Contemporary Violence Against Women in Africa" (Amina Mana). Part IV: Caribbean Encounters: Revolution, Hybridity, Diaspora. "Colonialism and the Caribbean Novel" (George Lamming). "Negotiating Caribbean Identities" (Stuart Hall). "Survival and Invention: Indigeneity in the Caribbean" (Peter Hulme). "Sending the Younger Son Across the Wide Sargasso Sea: The New Colonizer Arrives" (Moira Ferguson). Part V: Rump Commonwealth: Settler Colonies and the "Second World". "Crimes and Punishments" (Bob Hodge and Vijay Mishra). "Colonizing Gender in Colonial Australia: The Eliza Fraser Story" (Kay Schafer). "The Body in the Library: Identity, Opposition, and the Settler-Invader Woman" (Helen Tiffin). "Out of the Center: Thoughts on the Post-Colonial Literatures of Australia and New Zealand" (Ralph J Crane). Part VI: The Case of Ireland: Inventing Nations. "Adulteration and the Nation" (David Lloyd). "Reading in a Woman's Death: Colonial Text and Oral Tradition in Nineteenth-Century Ireland" (Angela Bourke). "Race Against Time: Racial Discourse and Irish History" (Luke Gibbons). 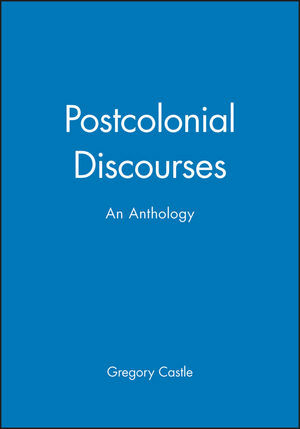 Provides an entirely new approach to the subject of post-colonialism which will completely re-orientate the field. Unique to this Reader is a section on Ireland which highlights a new approach to resistance to empire. Offers students a sense of the heterogeneity and plurality of the field. Brief headnotes sum up the main thematic and theoretical currents in the region and provide relevant historical, biographical and technical information. Key terms are explained and cross-references to similar essays aid class discussion and research.